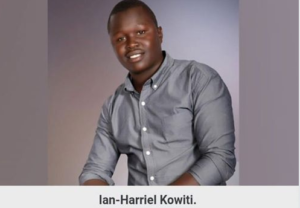 A former aspirant for Member of County Assembly (MCA) seat has put up one of his testicles for sale for Sh500,000. “What is the need of having two of them (testicles) dangling between my legs if I can still do the job perfectly with just one? Imagine that there is someone out there who can’t have a child for one reason or another. I just want to share what I have, for a little profit of course! I’m tired of being broke, yet I don’t need two testicles!” Kowiti posed in an interview with one of the local stations.